I just moved into a really cool duplex apartment. A duplex is technically an apartment, right? It’s not some separate category of house? Anyways, the apartment has this tiny little room, which I think was some kind of maid’s quarters or something. I don’t even know exactly. The realtor called it a pantry, because it’s kind of close to the kitchen, but it’s not actually attached to the kitchen so it would be weird to use it for storing food. The problem is that I don’t know what to do with it. It has no windows, so I don’t want to use it for an office, and it seems like it could be put to cool use, but I don’t know for what. It would be a shame to just fill it with boxed crap. I want to put it to some kind of cool, unique use, but I’m coming up short on ideas. What should I do with it? The first (and last) episode of MTV Cribs I ever watched paid a visit to alt-bro boy-band Incubus at a rented mansion somewhere in Malibu. Near the end of the tour, the band showed off a little, pillow-strewn secret room. Since this was back in the socially paleolithic early-2000s, they couldn’t come right out and say, “This is where we go to smoke weed!” but it was obviously where they went to, as the kids are saying, burn one down. Unhelpful anecdotes aside, there must be limitless cool things to do with your mystery space. Buy a Sprocket Rocket and build yourself a darkroom. Fermentation chamber. Wine cellar. Tiny recording studio. Tiny AirBnB room. Tiny slot-car race track. Keep your indoor worm farm there and make your own compost for urban farming. 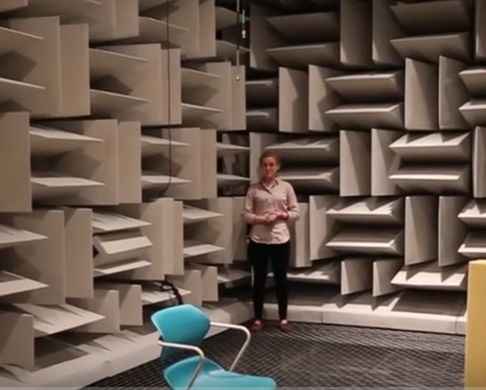 Install foam triangles on the walls and make yourself an anechoic chamber to practice sensory deprivation. All great ideas, but asking someone else for a cool, unique idea rather defeats the purpose of being cool and unique. I would challenge you to find a use for the mystery room that expresses your unique vision. Failing that, my gut tells me it would make a solid pantry. May 25, 2016 @ 4:42 p.m. It's called a butler's pantry, a little room between the kitchen and dining room that's basically a walk-in closet used to store food. There was one in the apartment I grew up in, although God knows we couldn't afford a butler. May 26, 2016 @ 11:42 a.m. The most gentlemanly closet, probably best filled with moustache grooming supplies and fine scotch.